PLEASE NOTE: This form is for payments only. To make a tax deductible contribution, please click here. 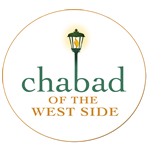 Support Chabad Family Programs - Alevskys!